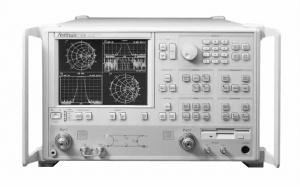 The 37200C and 37300C series microwave vector network analyzers (VNAs) are high performance tools designed to make fast and accurate S-parameter measurements across the 40 MHz to 65 GHz range. These network analyzers integrate a synthesized source, S-parameter test set, and tuned receiver into a single compact package that is ideal for benchtop testing. Code named Lightning, the 37200C and 37300C offer new levels of measurement capabilities to speed manufacturing test and increase throughput. Choose the instrument model and options that best suit your application and budget. The 37200C series is designed for passive device measurements, while the 37300C series adds active device measurement capabilities. Five microwave models are available from 40 MHz to 13.5, 20, 40, 50, or 65 GHz.